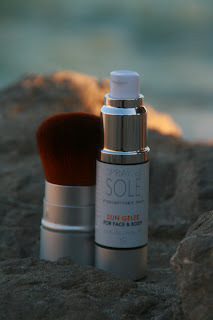 I was given the opportunity to review some sun products for our blog! I have 2 types of products- a tanning gelee and a liquid bronzer. These are unique products because they are organic and vegan. Both products are applied via kabuki brush, which is included in the kit. I have heard great things about applying tanning products with a kabuki, because it prevents you from ending up with orange hands. I am eager to start my review! Spray di Sole SUN GELEE gives an even all over glow to the face and body. Made with DHA, the gelee is non-transferable so you can tan and go, leaving the skin feeling soft, smooth and radiant. Can be used under or over foundation, but for best results apply on cleansed skin. Pump 1-2 times directly onto kabuki brush. Apply with the brush in circular movements avoiding the eye area. Wait a few minutes to dry. Wait 8 hours for the tan to fully develop. We recommend a patch test 24 hours prior to use. If there are any adverse reactions do not continue to use. Do not apply to broken, irritated or sensitive skin. 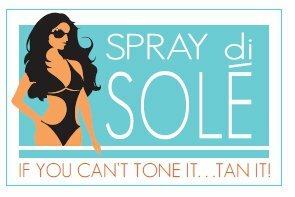 A professional spray tan in a salon is generally in the $30 range, so I would hope that this product lasts for at least 2 applications on the whole body. That would make the product worth its $50 price tag if you were getting more like a $60 value out of the product. 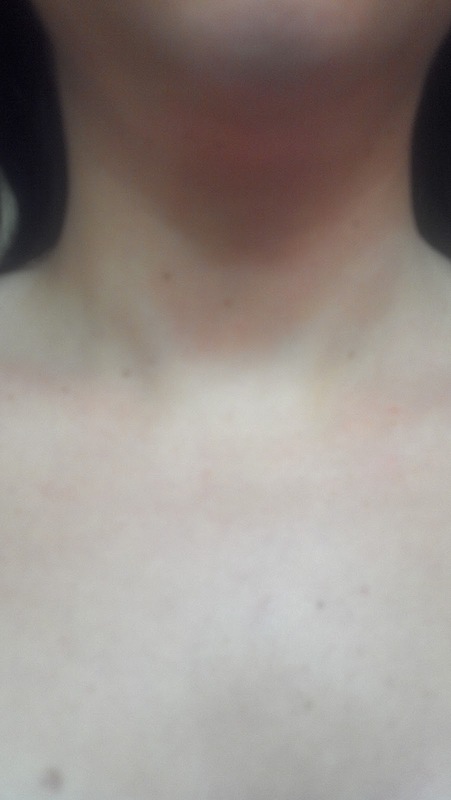 Check out some pictures they have taken of before and after the tan! 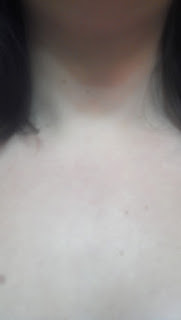 To apply this to my body, I used the kabuki brush and squirt bottle applicator as indicated. I had an extremely hard time getting the pump to dispense any amount of product. 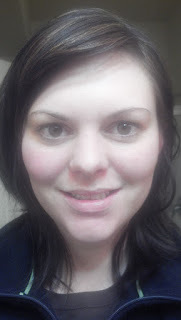 I pumped the applicator 50 times before I could get any amount of product out. I shook the product, held it upside down, held it straight, and more and nothing could get the product out. When I finally got it started, it splatted all over my bathroom. And I mean, everywhere! This stuff can shoot out of the bottle amazingly and in every which direction. Even after I had a few good pumps going and had started applying, it would continue to splat out of the container. For that reason, I would recommend stepping into your shower to apply this, or the garage. Anywhere where the cleanup would be minimal. 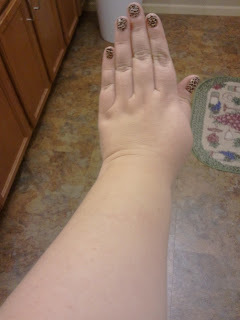 This hand is holding the kabuki, and the other was holding the tanning pump. Here's what happened when I finally got the product coming out! Once I finally got this going, I squirted 1-2 pumps and started applying. I swirled the kabuki brush onto my skin. This stuff sets almost immediately. Because I was having a hard time getting any product out of the pump, I was forced to try a slightly different application method. When so little product came out at a time, I felt the need to apply that much and come back when I could get more out. I tried dotting it on my skin and swirling the dots together. That ended up not working out at all and I ended up with a trail of dots I could only cover with more self tanner! The directions indicate to apply in circular motions only after having applied a few droplets of the product to the brush. This application method worked well (and was possible) only when the pump was cooperating. 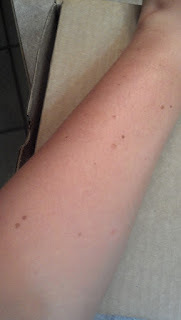 As you'll see in later pictures of my arm, I was able to correct my spotting issues by applying more tanner to the spot according to directions. The nice thing about the product setting almost immediately is that it really doesn't budge once it's on. It may not be ultra easy to use, but I am confident that this product is not going anywhere. Gone are the days of sweating off your sunless tanner! This stuff is here to stay! One concern I would have of this product is its level of difficulty to do by yourself. I would never be able to get my back area, so I wish it came with an aerosol spray for that area. I feel confident that you could get 2 full body applications in this bottle. There was not a strong smell. 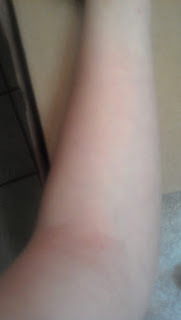 At first, I thought there was no smell, but about 2 hours after application, I noticed a more distinct scent of sunless tanner. - Wash your face and body and dry with a dark towel, or one you don't care about. Over time, as the product fades it will crock off on your towels. - If you want your tan to last, avoid using an exfoliator. But definitely use one pre-tan! - Use a liquid bronzer mixed with foundation to fix any obvious mistakes you made. - Don't forget about the webs of your fingers or toes. Easy to forget, and looks bad when you don't do it! Yikes! I haven't done my neck in this picture, just my face. I hope this evens out more in the next 8 hours it will take to develop. I don't dare apply more! 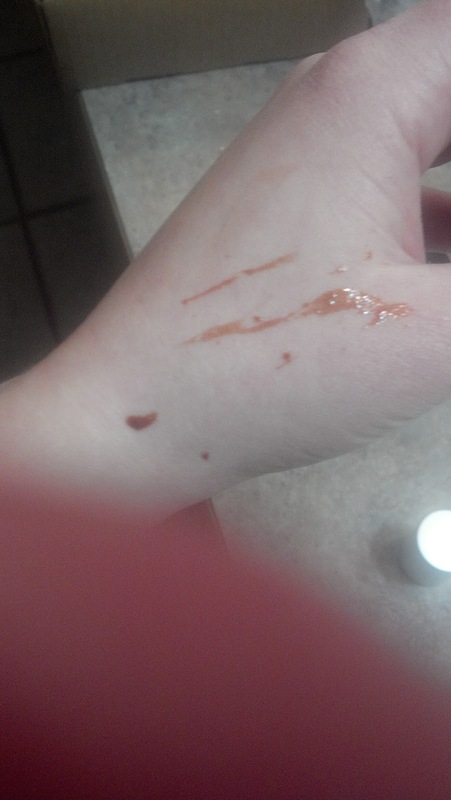 I felt that the color was absolutely beautiful and natural once applied. I look forward to seeing how well it develops in 8 hours! 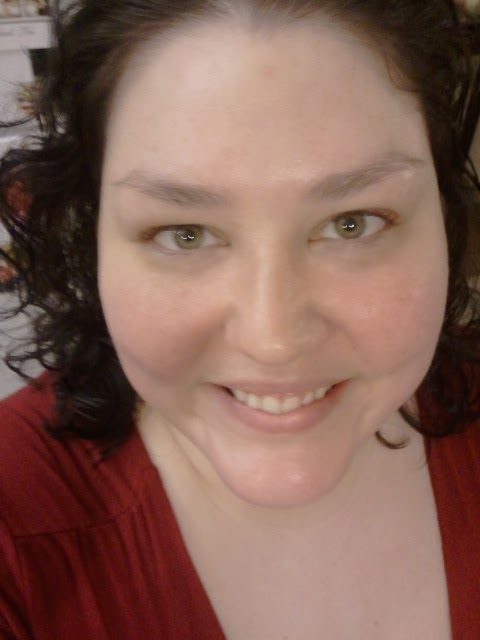 Still looks a little freaky- but my lips are naturally very light in color when they are bare. Also, my skin had been a little red in the cheek area that week. 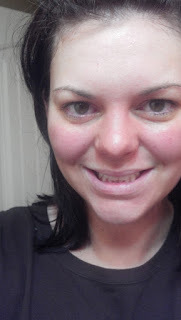 Once I applied foundation, my skin tone evened out even more and I was really happy with it. The only part of me that made that much of a difference in developing over the span of 8 hours was my face. 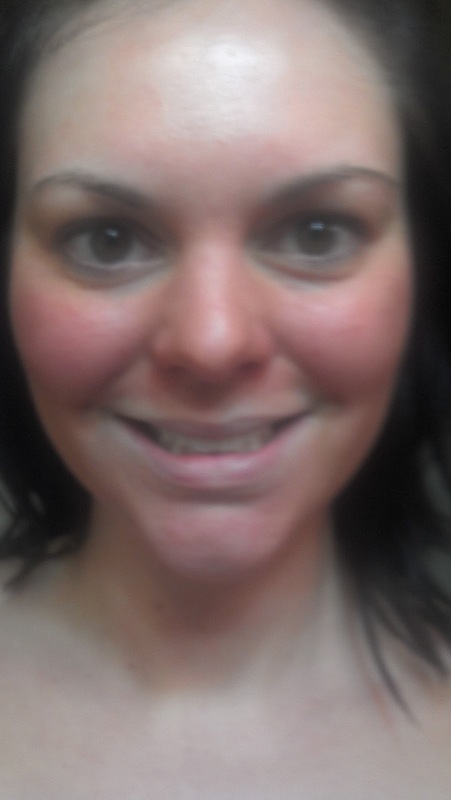 My face became remarkably more tan than the rest of me. After washing it one time it seemed to remove all extra residue and I was back to normal! The Verdict: I really enjoy this product. The application was not easy, and to apply to your whole body you'd need a friend to help you. 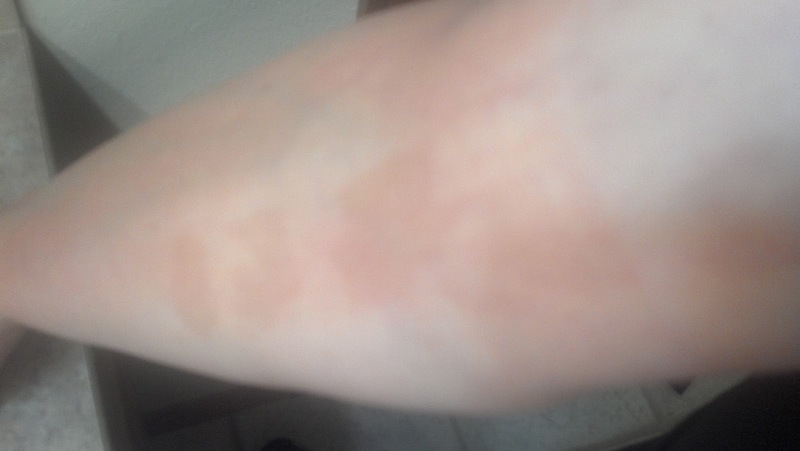 That said, I think seasoned self tanners would love this product- it doesn't fade for about a week and it fades naturally just like a sun tan would. There was no patchiness, and no flaking off of color. Tanning newbies might find this hard to use, but the color it develops to is gorgeous and natural and long lasting. 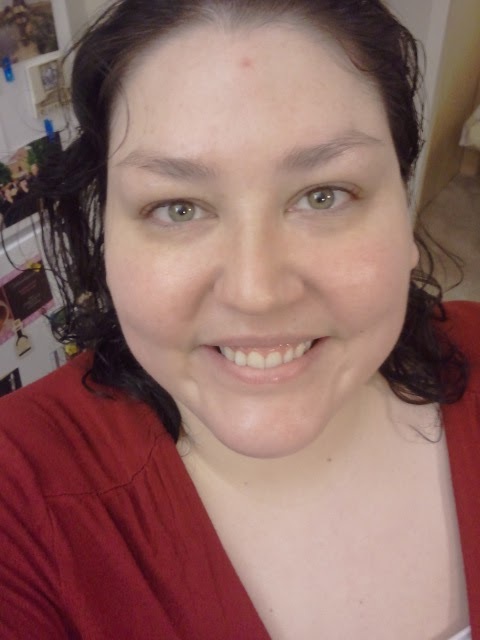 The color on my face developed heavily, but it may have been that I applied to much- regardless, I exfoliated the morning after, and everything evened out really nicely. Spray di Sole liquid bronzer set adds immediate radiance to the face and body. It is designed for those who do not wish to use a DHA (semi-permanent tanning active ingredient) formula yet desire a long wearing soft golden glow. The formula is non-transferable, water resistant, and has amazing longevity. The formula is infused with vitamins and organics to keep skin glowing and hydrated. So did the product hold up to the claims? 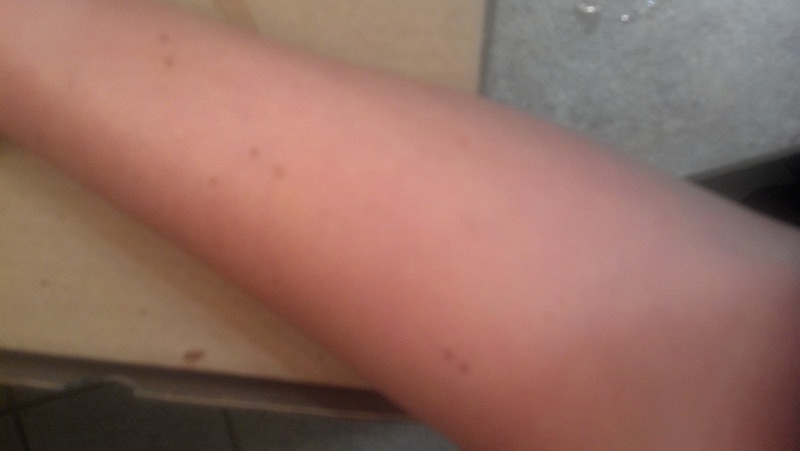 I couldn't tell on my skin. I sprayed the formula on the kabuki brush, and it was very simple to use. It was a very soothing formula and left my skin feeling hydrated. Perhaps it was because I used the tanning solution first that I didn't notice any extra color on my face and arms, which is where I applied it. When I read reviews on Amazon, the product got 5 stars, so that counts for something! People are generally very critical in their reviews on that site. You can check out their reviews here. I liked the subtle bronzed glow this product gives you. I sprayed this product directly onto the kabuki and applied it in circular motions onto my skin. The kabuki brush is durable and the bristles are really soft making this an enjoyable application process. This also dries very quickly so you are not going to get any bronzer anywhere. You do have to be careful in squirting this onto the brush as some may get on other surfaces. I just sprayed in onto the brush over a sink. There is also no scent to this which I really like and it is non oily. My skin felt softer after application as well. The color was a little more apparent in person than on camera, but I really like the healthy color it gave me, making me look as if I had gotten a bit of sun. I have been using this daily for about a week now. I always am looking for it in the morning. 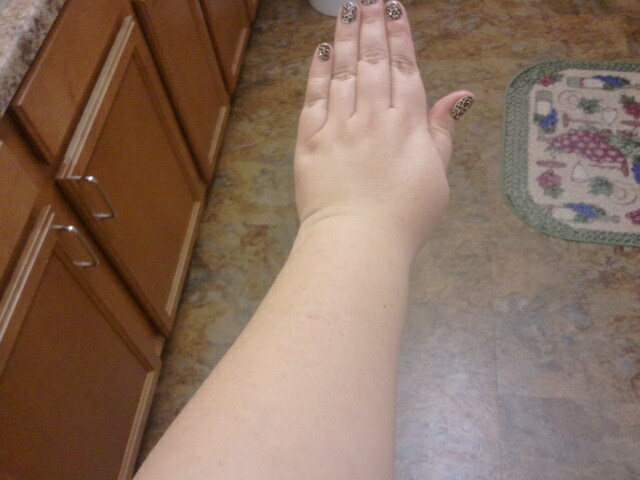 It gives such a nice subtle bronzed glow. It is just what I need to perk up my skin in the morning. I also love applying this. The brush and the cool spray feel great when being applied to your skin. This product was sent to us for review. The opinions represented are honest and are our own and are the property of TruBeautyGems.